Thank you for joining us for what was a PERFECT week of volleyball and fun with new and old friends. Our Volleyball family has grown again with quality people and together we have created unforgettable memories and lifelong friendships. The Pros and I really enjoyed spending time with you on and off the court and can’t wait to do it again soon. We would like to invite everyone to our Volleyball Vacations Reunion at Club Med Sandpiper Bay in Port St Lucie, Florida. We are confirmed to have the Reunion on February 5-12, 2016 but most people will come for the Superbowl weekend and stay 3 nights from February 5-8, 2016. *Super Bowl game is at 6pm Sunday night. Book either option or whatever number of days you can join us as it is going to be a great trip. The Reunion capacity is limited to the first 100 campers so reserve your spot now before it’s too late. You can pay in full or put down a deposit to save your spot. *Don’t forget this is a family resort and kids are welcome (the kids club is awesome and they can watch your kids while you play all day). Be sure to follow the Official Volleyball Vacation Facebook Page for relevant news, events and announcements. 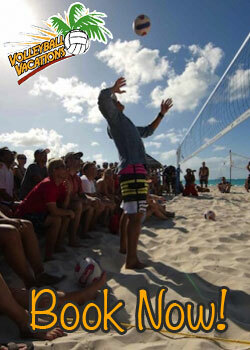 Join our Public Volleyball Vacations Group Page to share photos, videos and memories! 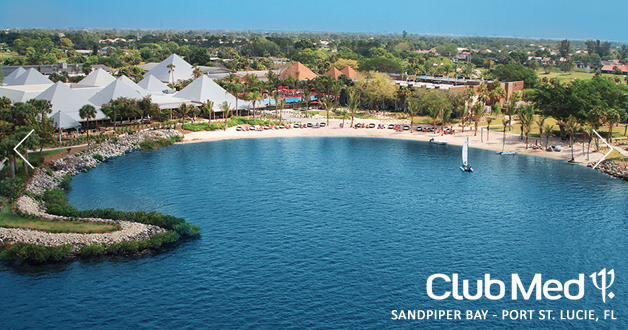 Click here for more information on Club Med Sandpiper Bay in Port St. Lucie, FL.